Wedding invitations made with silver perlised envelopes with emboss patterns and a white pearlised card, postcard in style. The design of the envelope is finished with emboss details adorned with strass beads and a silver organza ribbon, the guest’s name elegantly attached to it. 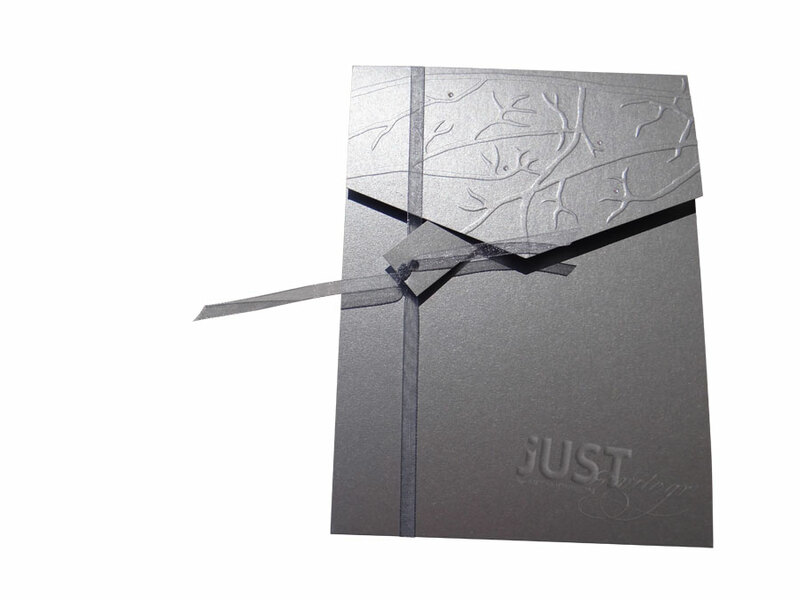 Your bespoke invitation postcard is printed in plain grey foil. Size: 20 x 15 cm. https://www.preciousandpretty.com/2017/10/silver-pearlised-wedding-invitations-a820.html Greek Wedding Favors|Orthodox Crowns|Stefana|Baptism Invitations Silver pearlised wedding invitations A820 Wedding invitations, contemporary chic, with strass beads and organza ribbon. Product #: Greek Wedding Favors|Orthodox Crowns|Stefana|Baptism Invitations_4816381271902204891 5 stars out of 5 reviews.